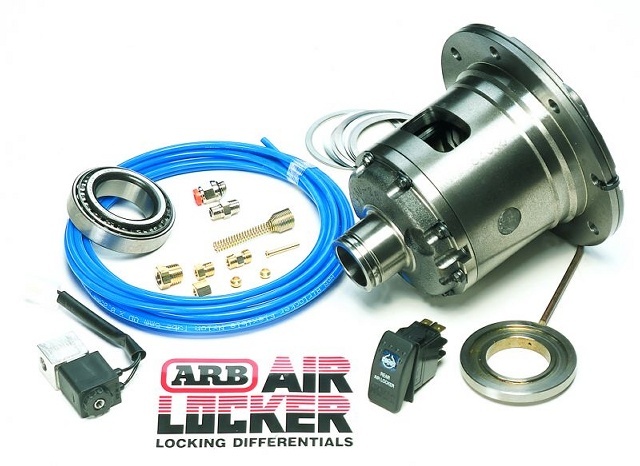 ARB's revolutionary differential uses compressed air from an on-board air compressor to lock both wheels of one axle so they work as one, providing equal driving power to each wheel. One compressor operates both front and rear lockers. Air Lockers are operated by the driver so they can be engaged or disengaged at will by pushing a dash-mounted button. This means there are no changes in handling or tire wear when they are unlocked, making the Air Locker ideal for use in front differentials. No other locker or limited-slip differential offers these advantages! ARB Lockers are the ultimate locker when it comes to getting a vehicle's power to the ground where it counts. Onboard air supply required. Air compressor sold separately.